Dr. Carole Shelley joined us as an associate in August, 2008. She moved to Pocatello from Scottsdale, Arizona where she has been working in a private practice. She graduated from The Chicago Medical School in 1995 and completed her residency in obstetrics and gynecology at the University of Cincinnati in 1999. 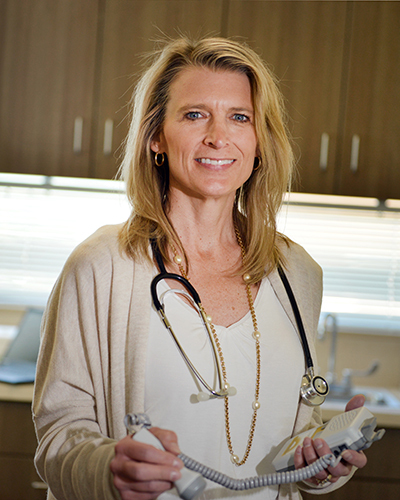 She is board certified and she was awarded as a top doctor in North Scottsdale magazine in 2005. Dr. Shelley is currently welcoming new patients for pregnancy (low and high risk), annual exams and any gynecological issues ranging from abnormal bleeding to pelvic pain. She performs surgery as well and has a special interest in laparoscopic procedures. Dr. Shelley is married to an interventional radiologist, Dr. David Shelley and they have two daughters. They are excited to be living where there are seasons again and they can’t wait to get up on the slopes.